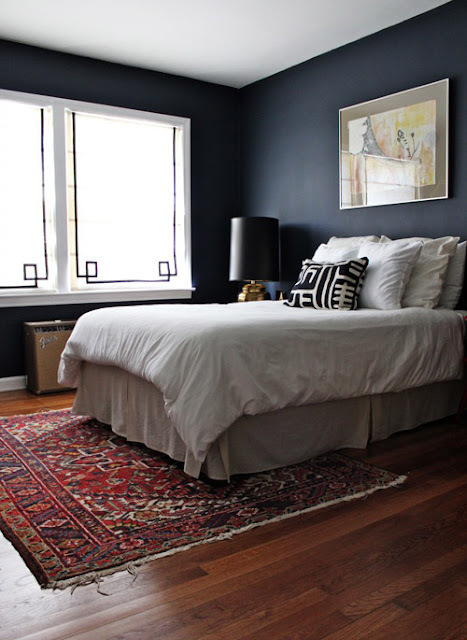 I normally gravitate towards light, open, and airy bedrooms, but lately, I've been drawn to darker, moodier spaces. I truly believe in making the rooms in which we live evoke positive feelings in us, especially our bedrooms because they are our sanctuaries, after all. I've recently taken on the task of (slowly) redecorating our master bedroom. 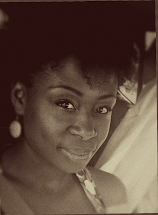 Not because it needed it, just because I'm ready for a change (which happens quite frequently around these parts). It's a bit on the small side, and the huge king-size bed we both love doesn't help to make it feel any bigger. For that reason, some might shy away from using a darker color here for fear of making the room feel smaller, but I beg to differ. I think the right color can completely transform a room. 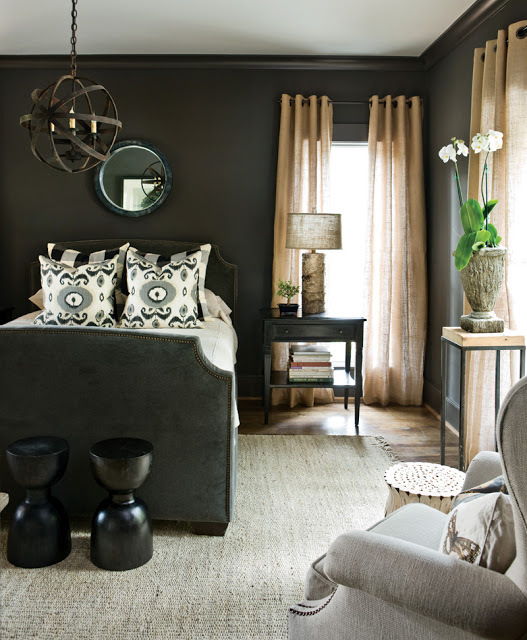 Darker walls help to enhance that cozy feeling I'm after and can actually make a small room feel that much more expansive. 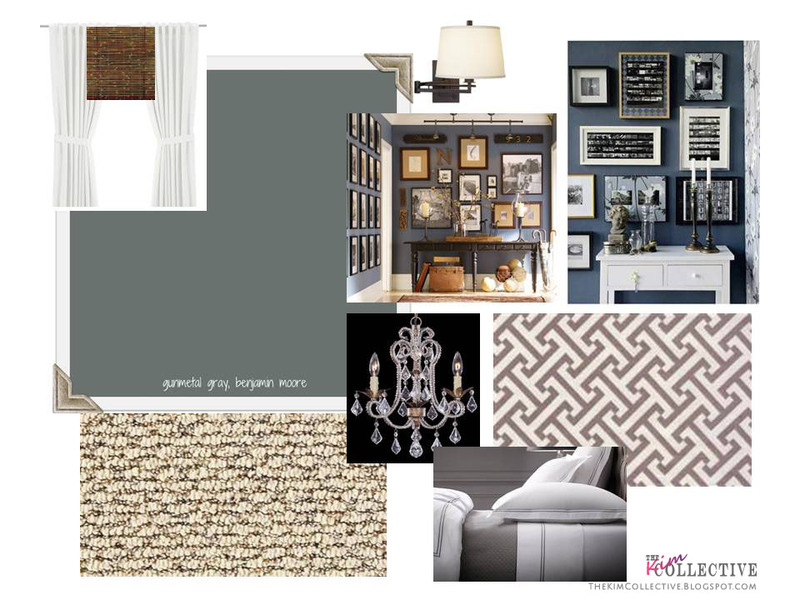 This is the mood board I put together to help evoke the coziness I'm longing for. Each element is a loose interpretation of what I envision for the space, so things will surely change once everything is complete. A complete rundown of my final choices and the materials I'll be using is soon to come.